Hey party people -- if you are in the market for a Big Dummy, here is a deal for you. Especially good if you are in the greater NorCal / Oregon area (free delivery!). 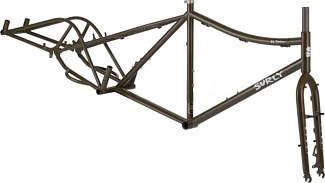 18" unused big dummy frame and fork. green like the rest. comes with installed ritchey pro logic headset. I can deliver anywhere on I-5 corridor Sacramento to Portland this coming week (Aug 10-16).